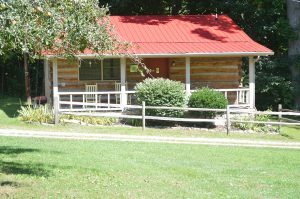 Our 2 bedroom cabins are perfect for a family or group of three or four. Two separate bedrooms one bath make these a very popular cottage for small families as well as couples that need the extra space. The kitchen is complete and ready for you to cook and the fireplace is wonderful in the winter. Relax in a rocker on the porch while the kids run off steam in the meadow. 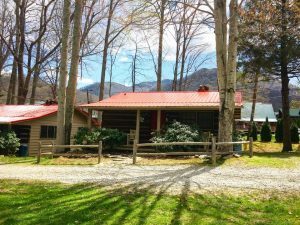 Perfect for families that need a headquarters while experiencing all the area has to offer. 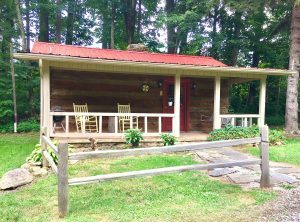 All of our cabins and cottages have large private porches, rocking chairs and a porch swing. Each cabin has a unique perspective overlooking streams, ponds and mountains. 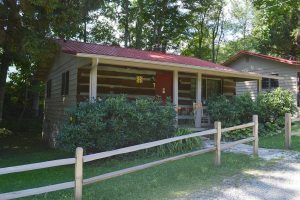 We also offer 1 Bedroom and 3+ Bedroom Cabins. 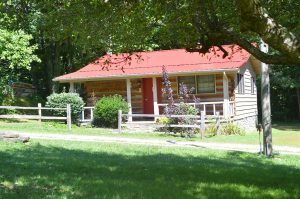 Our 2 Bedroom cabins are managed and booked through Carolina Vacations.